Plant on plant violence is so hot right now. The game that didn't need to be a first person shooter but that turned out to be pretty good anyway is coming back, and we've got the trailer to prove it! An indulgent gameplay reveal video for Plants vs. Zombies Garden Warfare 2 shows off a solid three and a half minutes of plant on undead action. Just the way we like it. A little bit of everything can be found in the Backyard Battleground trailer. Plants shooting peas, zombies leaping from buildings, flags raising in the darkness, even some smooth splitscreen two player local co-op is thrown in there. The game is shaping up to be a solid follow-up to the first one, and since zombie teams are now a thing, it'll definitely have some legs up on the elder. 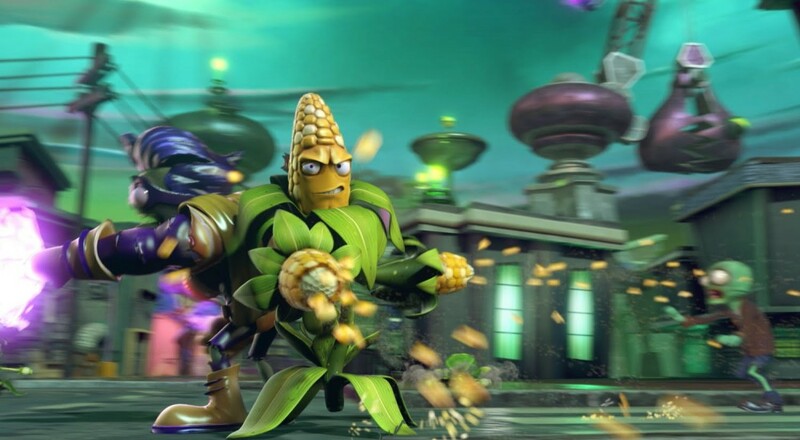 As for co-op, Garden Warfare 2 is set to include local play for two players as well as online play for up to four. The PS4, Xbox One and PC release is set for February 23, 2016, just in time for... um... nearly leap year day. Hooray!